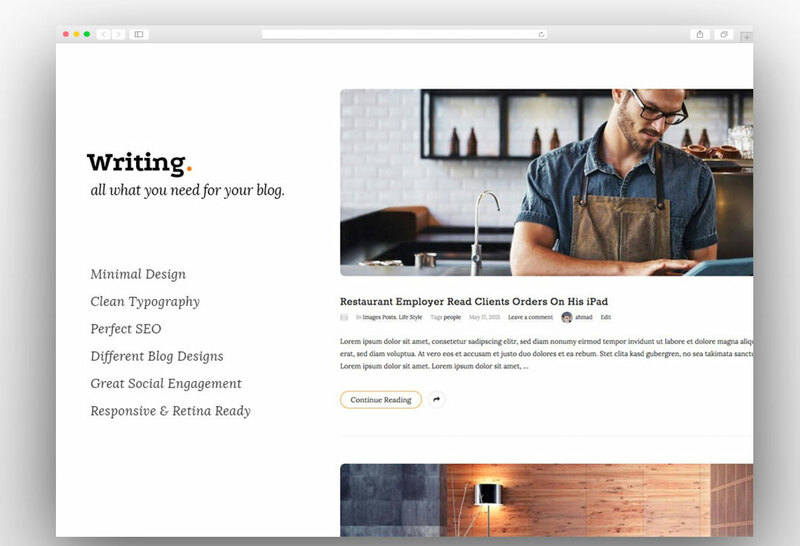 WordPress is the champion platform when it comes to the blogging and it is occupying a major share in the blogging industry. 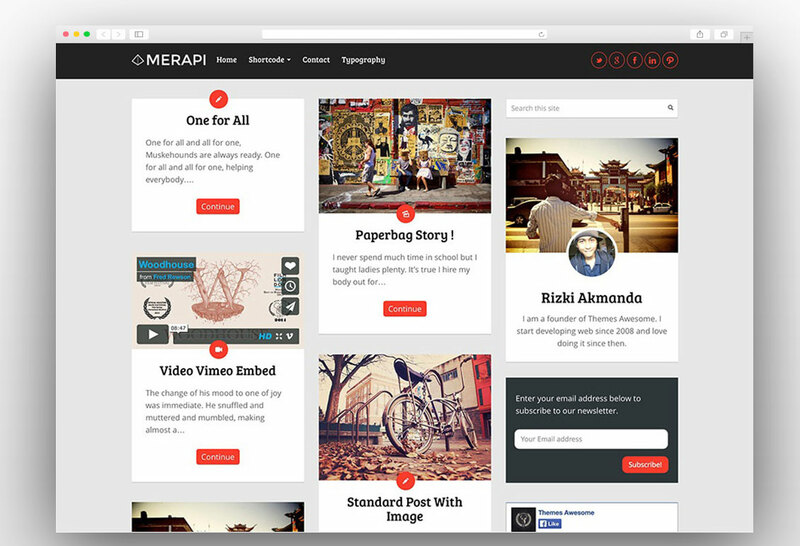 The ease of the use of the platform has made it the first choice of the bloggers from around the world. 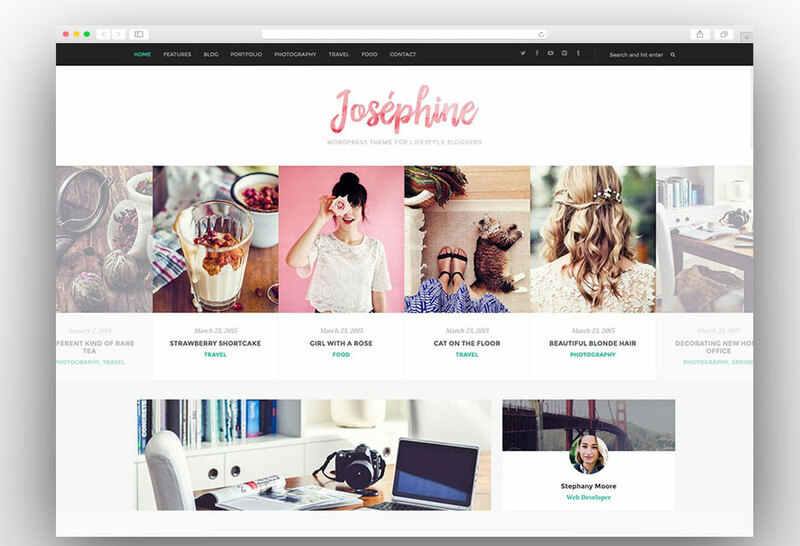 WordPress is easiest and most simple content management system available out there. 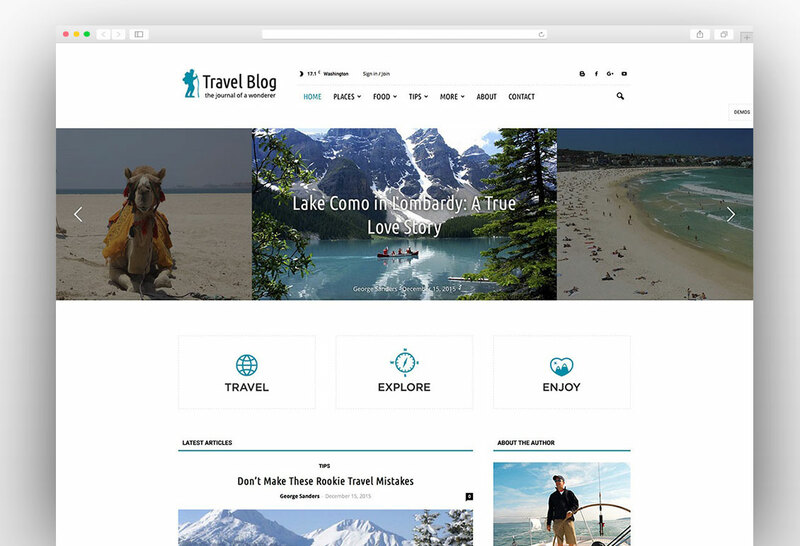 One can manage and create blog effortlessly through a highly user-friendly interface of the platform. 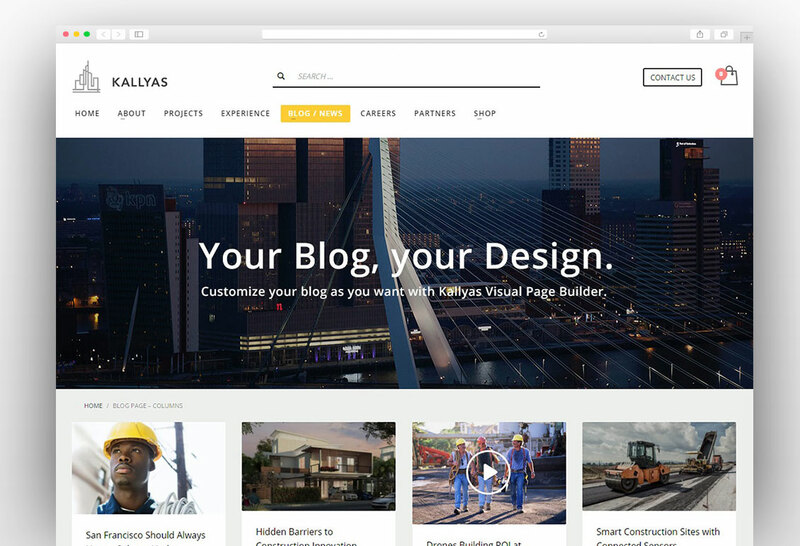 Whenever we think of blogging then this is the first platform that comes to the mind. 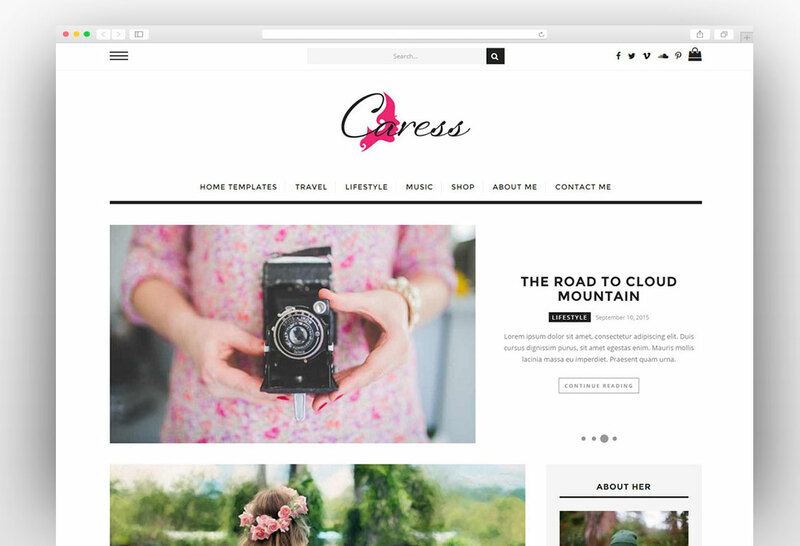 The process of creating an amazing blog is made easier through these stunning WordPress blogging themes. 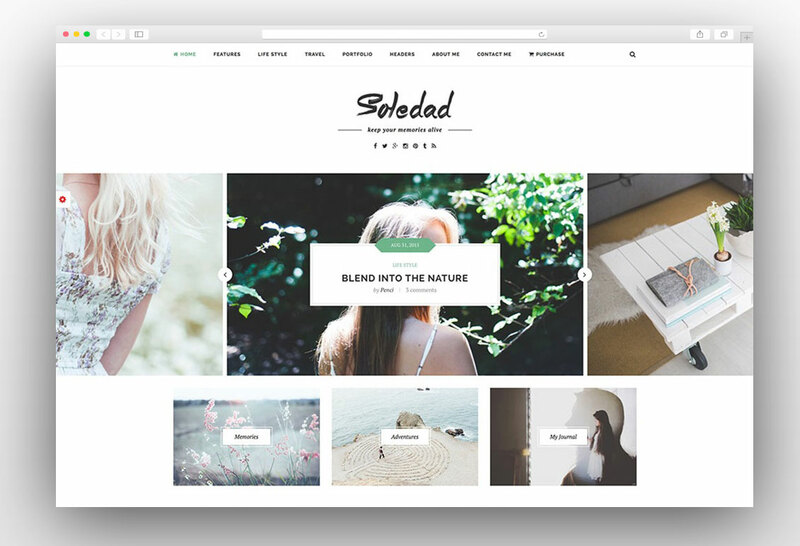 There personal blog WordPress themes will help you to establish your own blog in a matter of minutes and it will enable you to share your knowledge or reach your audience quickly. 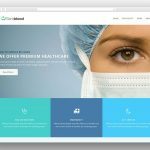 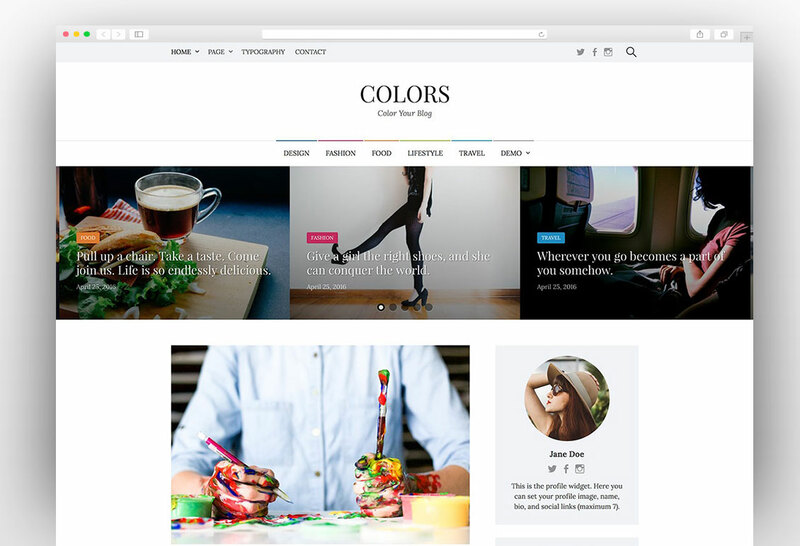 To make your blog visually appeal we have selected the best blogging WordPress themes that you can use to create an impressive WordPress blog and engage the audience. 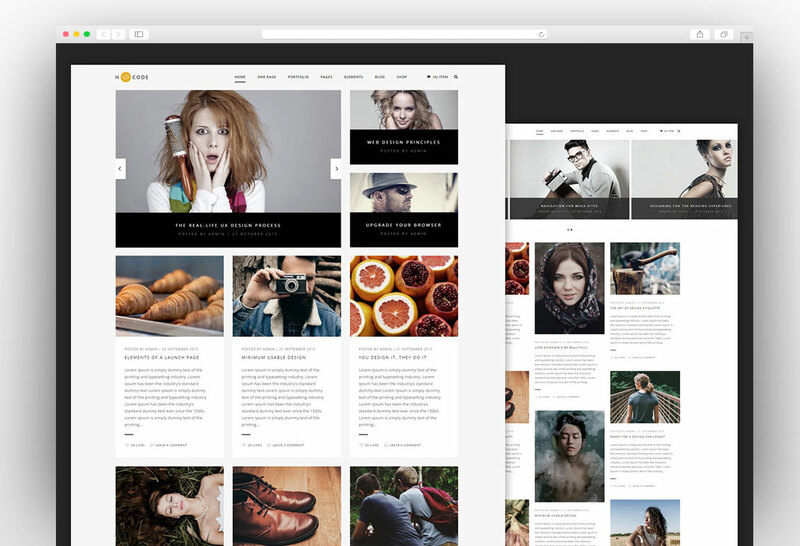 Here is the list of best personal blog WordPress themes. 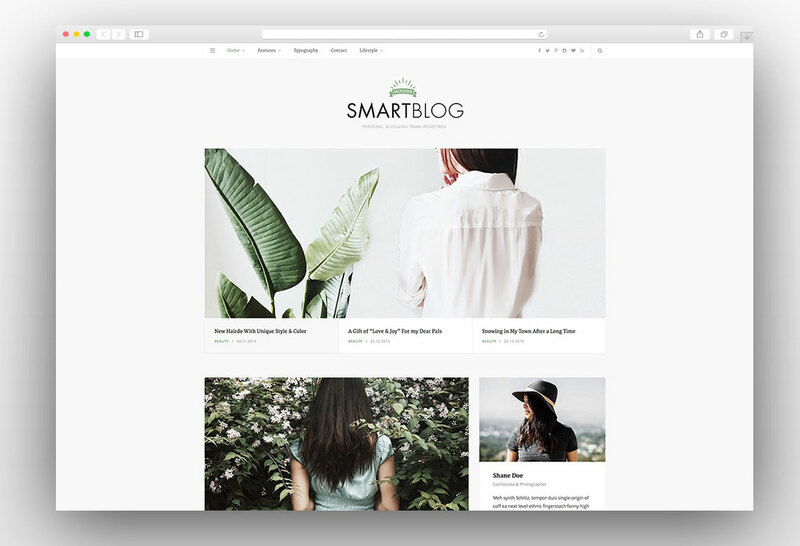 BloMag is specially designed for the bloggers and it has all the features that a blogger wants on his blog. 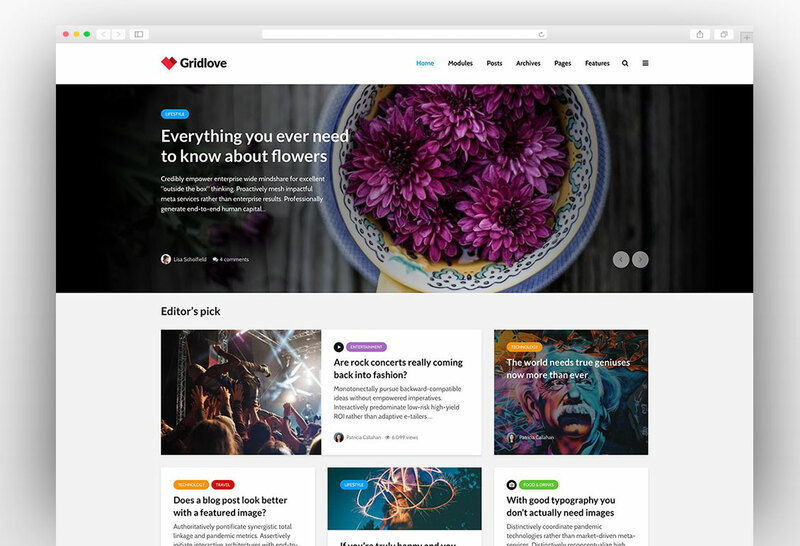 The clean and simple design of the theme will engage the user and help them to focus more on the content by removing the distractions. 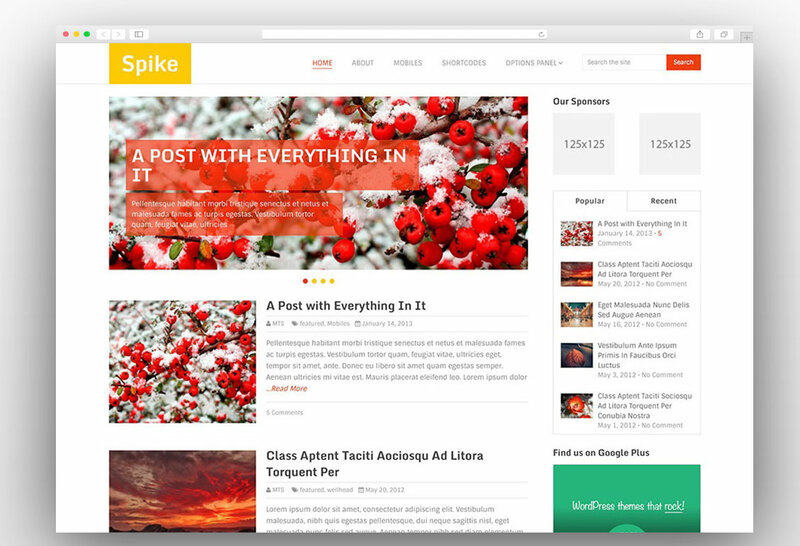 You can make money using this theme as it supports AdSense and affiliate marketing tools. 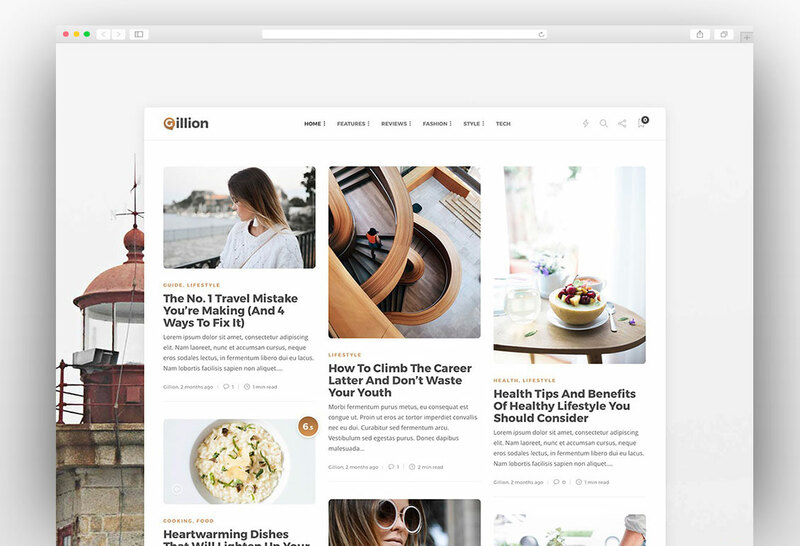 You can turn your blog into a profitable business by creating great affiliate posts and placing the Adsense ads on the right places. 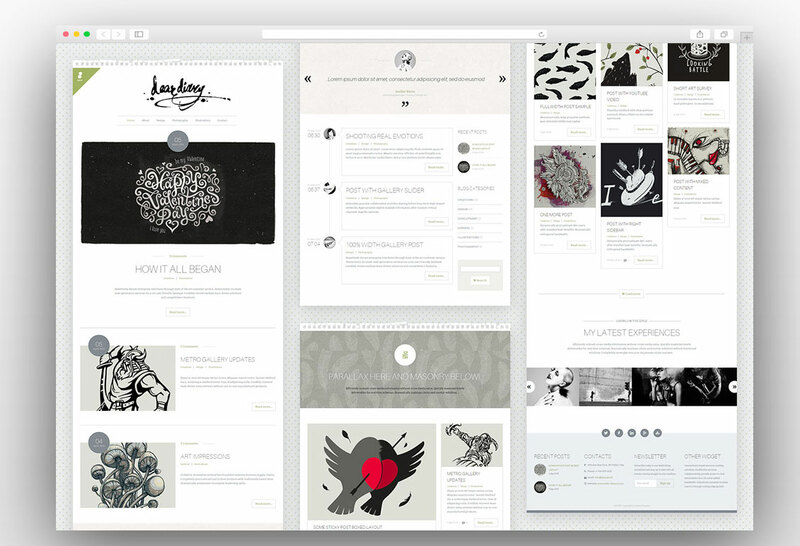 The theme has a built-in lead capturing form which can be integrated with MailChimp. 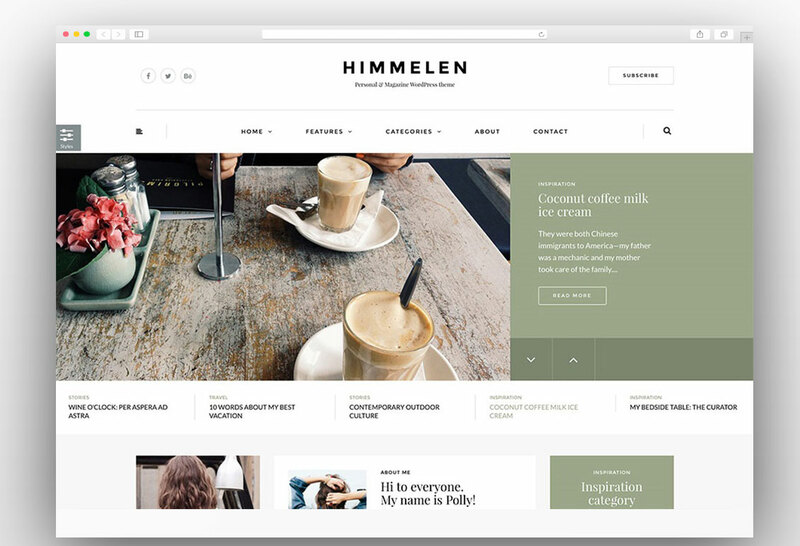 You can collect the visitor’s information by offering them some freebie and later you can use their emails for sending the newsletters. 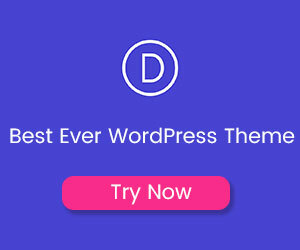 This is will improve the traffic on your website. 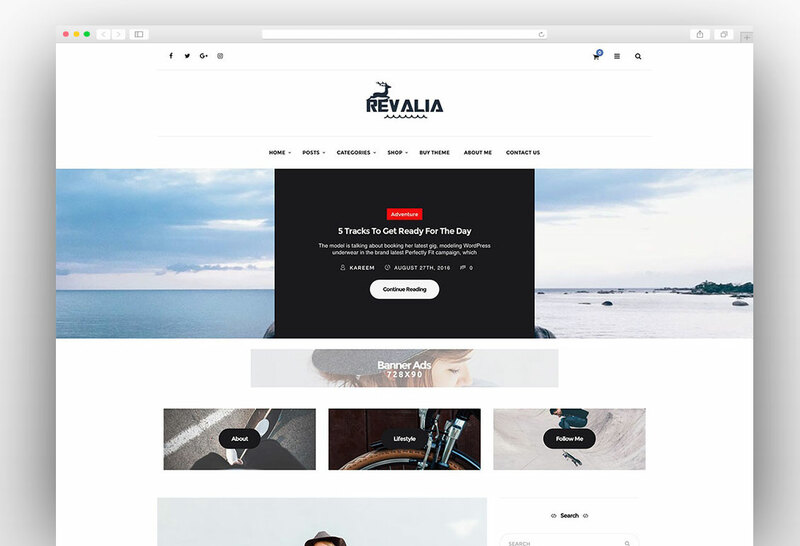 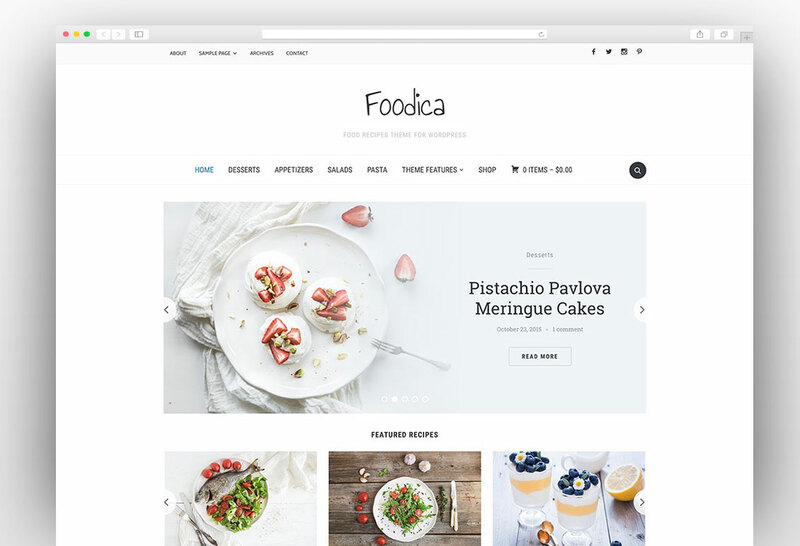 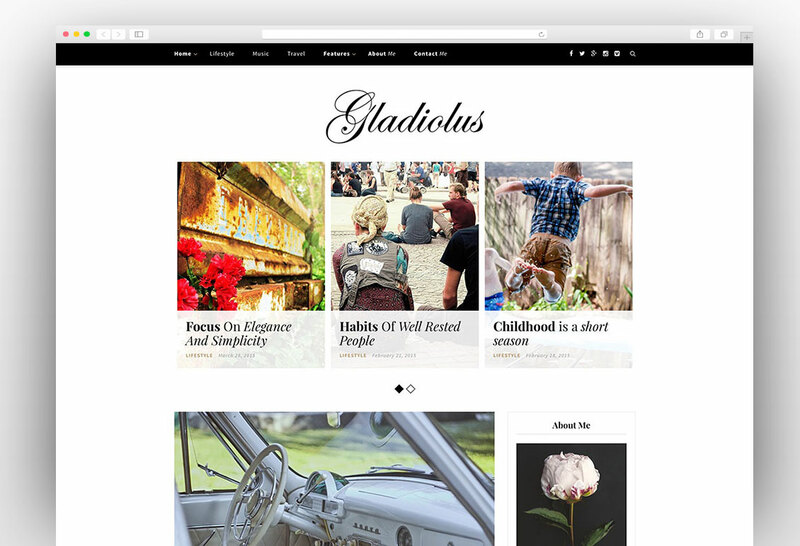 The theme is fully responsive and retina ready and it looks reader friendly on all devices and computers. 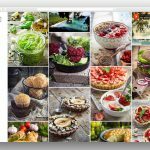 The rich options panel will help you to customize the theme without any difficulty and you can control almost all the features from a single dashboard. 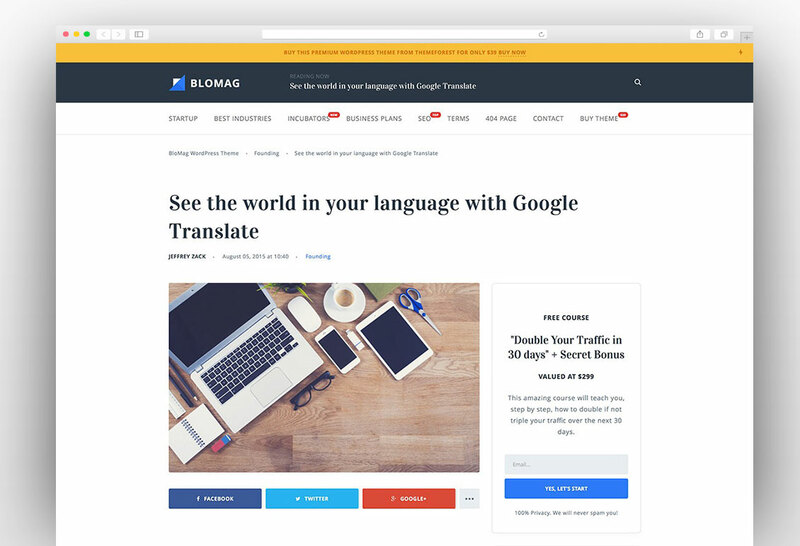 BloMag is fully optimized for SEO and it will help your blog post to rank higher and faster on the search engines. 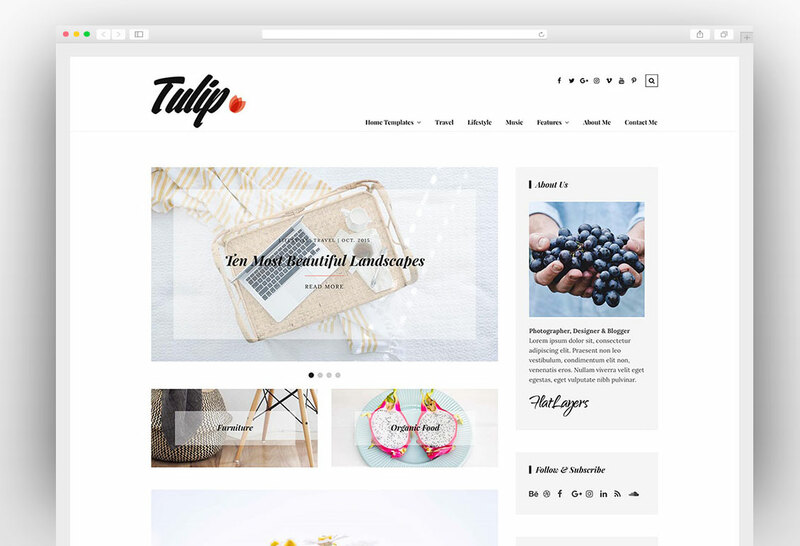 The theme also has the option for the sticky header so that your visitors can easily navigate to the other pages of the website. 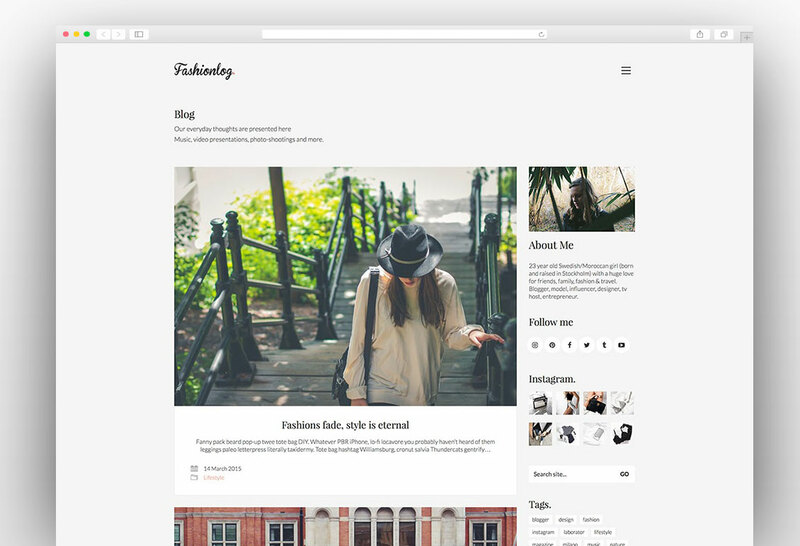 Webly WordPress blog theme has clean and bold design and it is perfect for blogging. 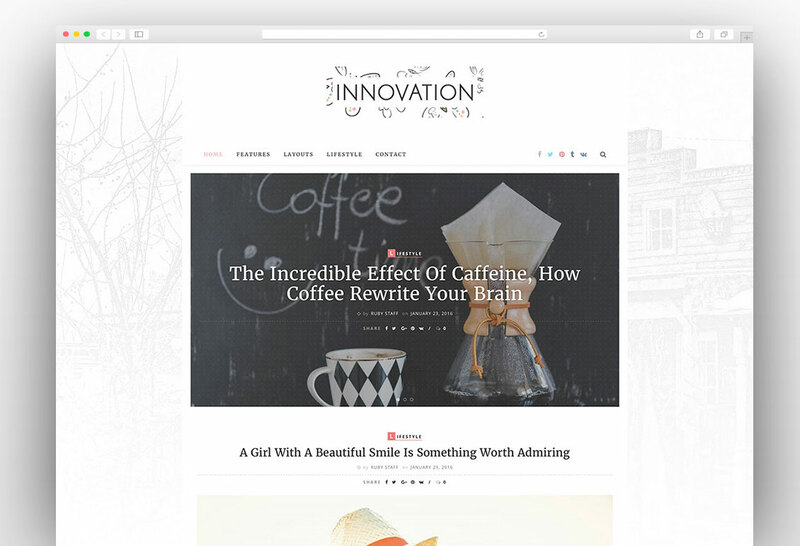 It’s trendy and clean design present your content to the readers in an elegant way. 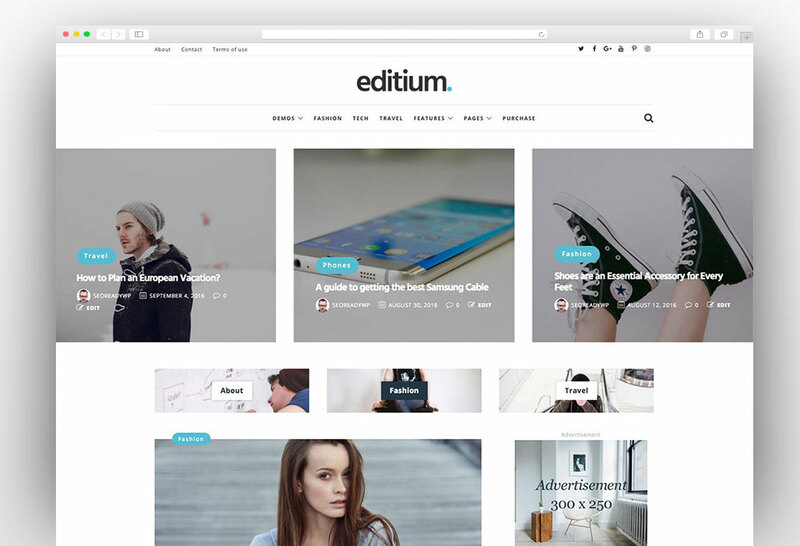 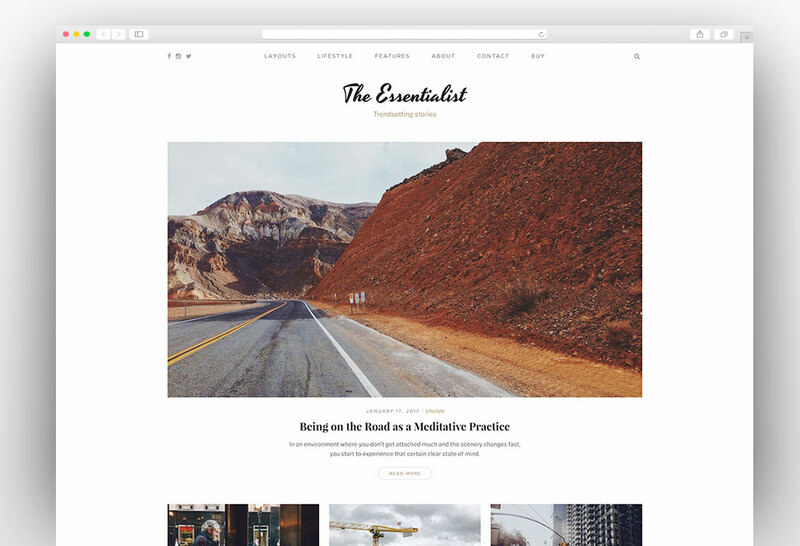 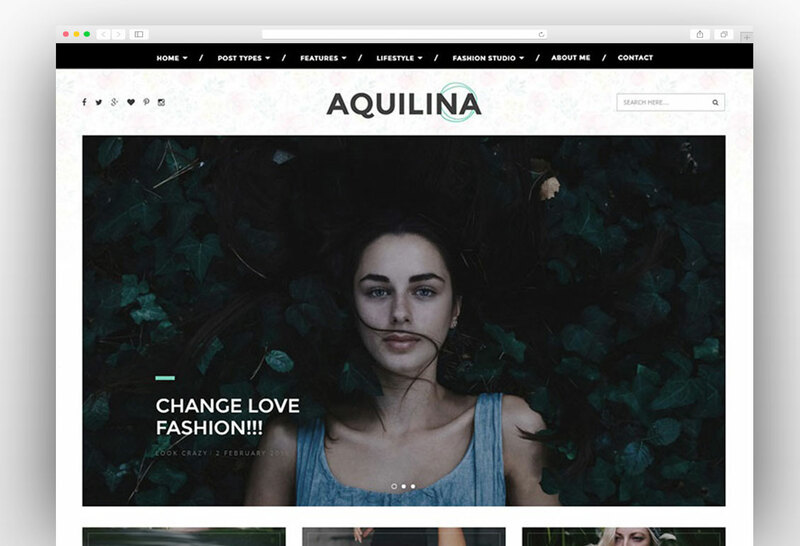 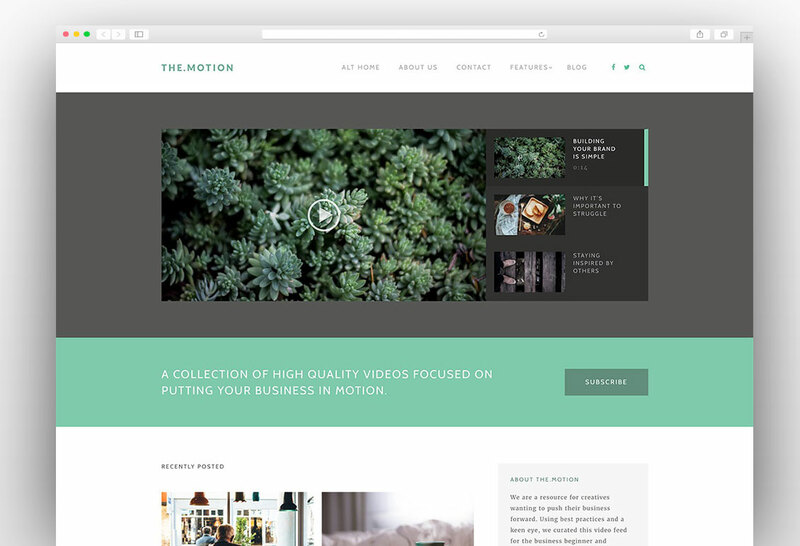 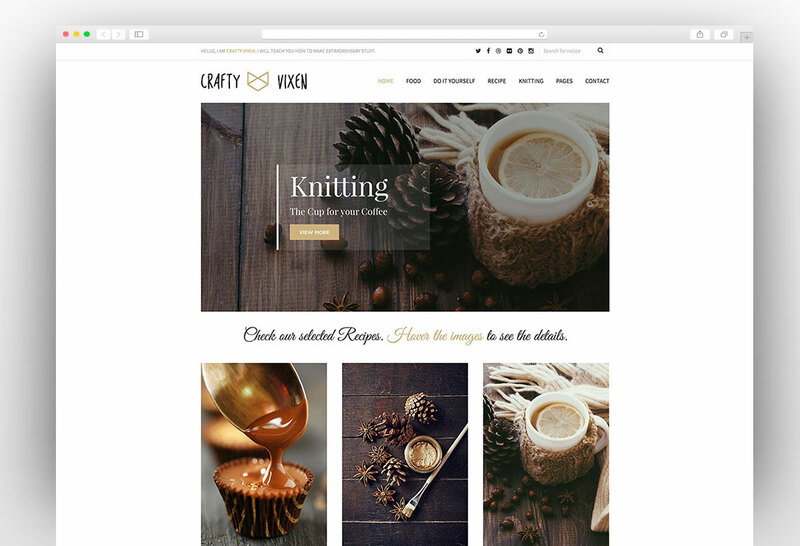 The layout of this blogging WordPress theme is stunning and user-friendly. 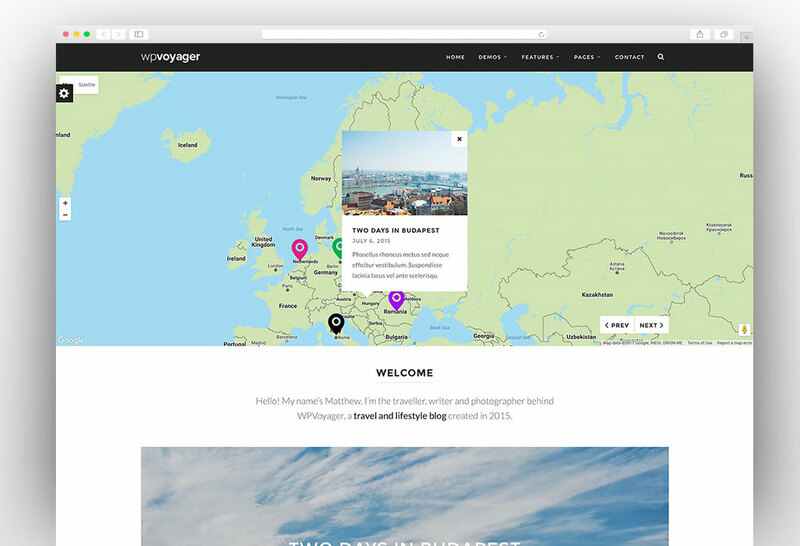 The fully responsive and retina ready design makes it a very good option for your next blog. 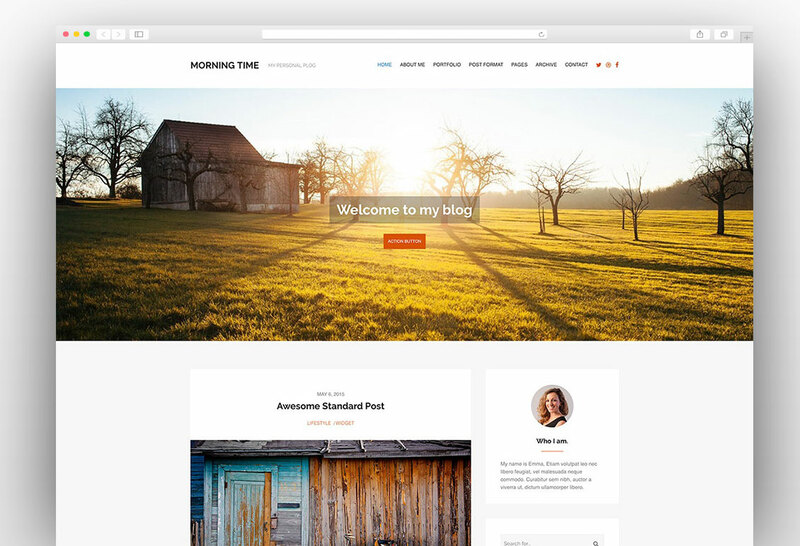 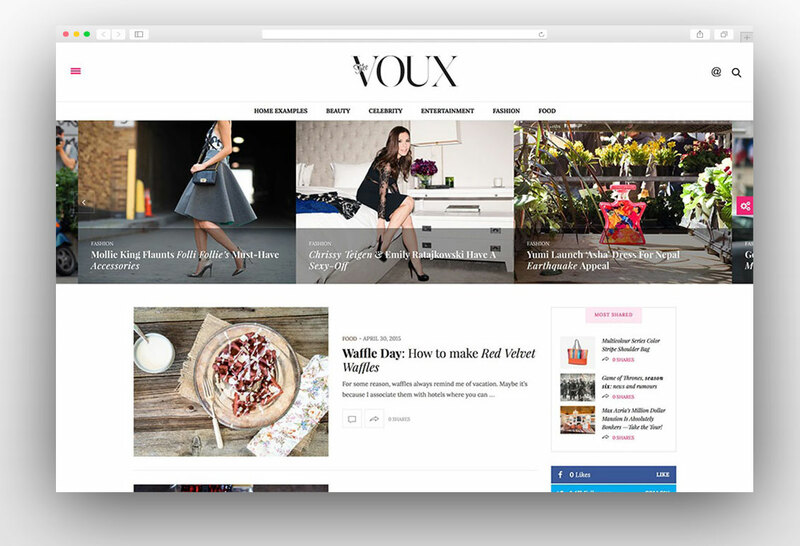 There are multiple homepage layouts available for this theme and you can choose the best one which meets your blogging needs and objectives. 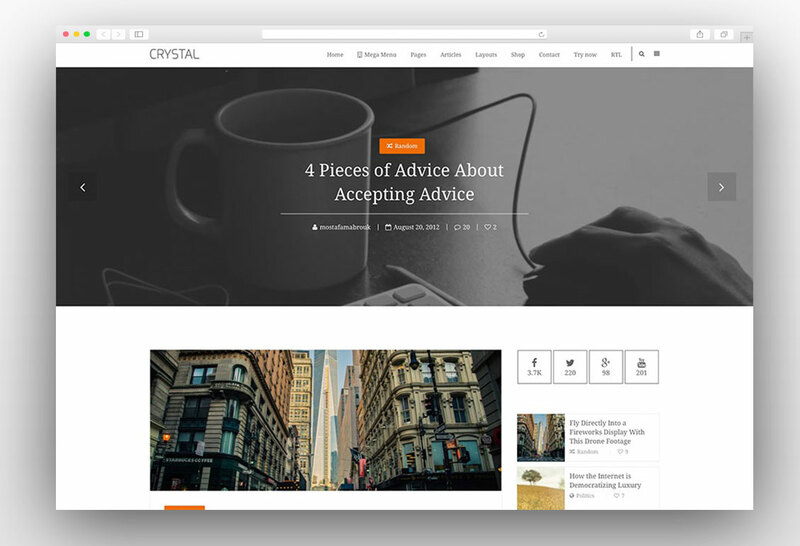 Not only the homepage, the theme has multiple blog layouts which make it even more flexible in terms of design. 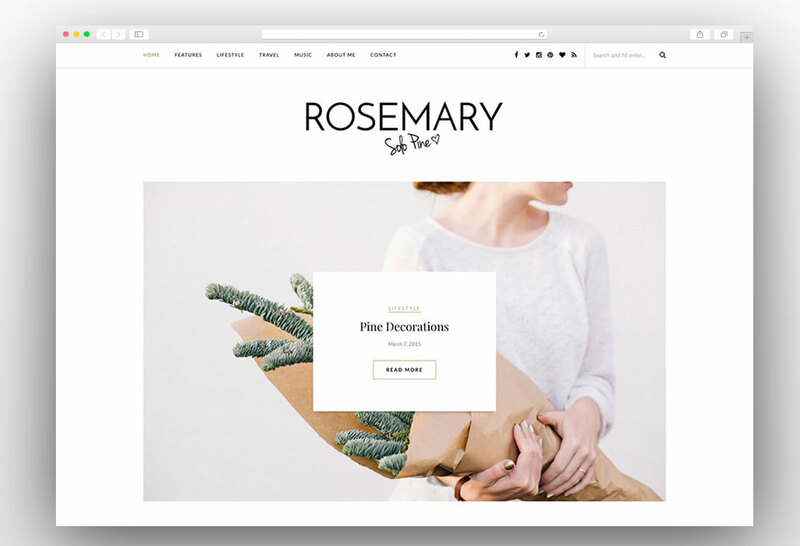 The fast loading websites rank better on search engines, therefore this theme was made keeping in mind the search engine aspects. 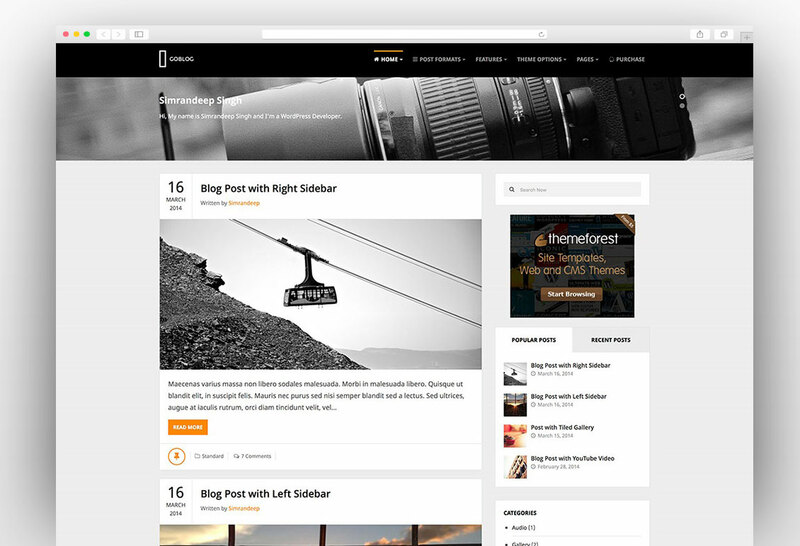 The theme is optimized for the search engines and your blog will perform much better on search engines. 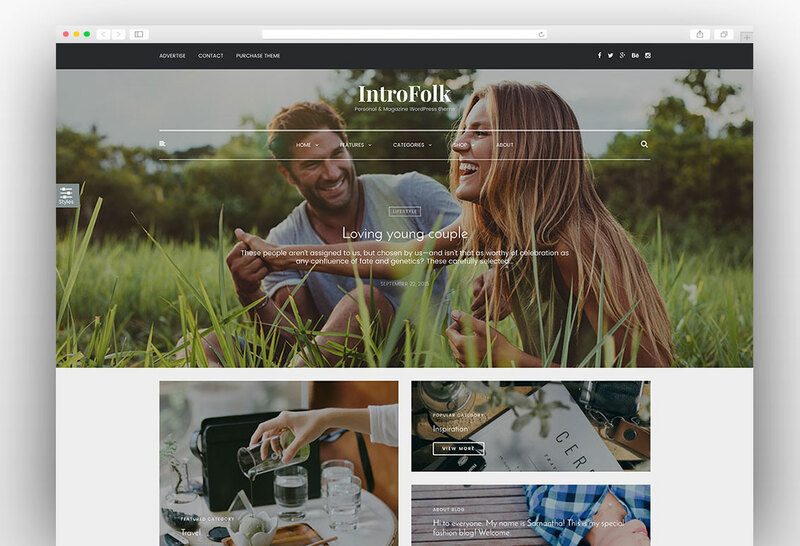 There are multiple post formats in this blogging WordPress theme and you can choose among standard, video, audio, and gallery post formats for publication. 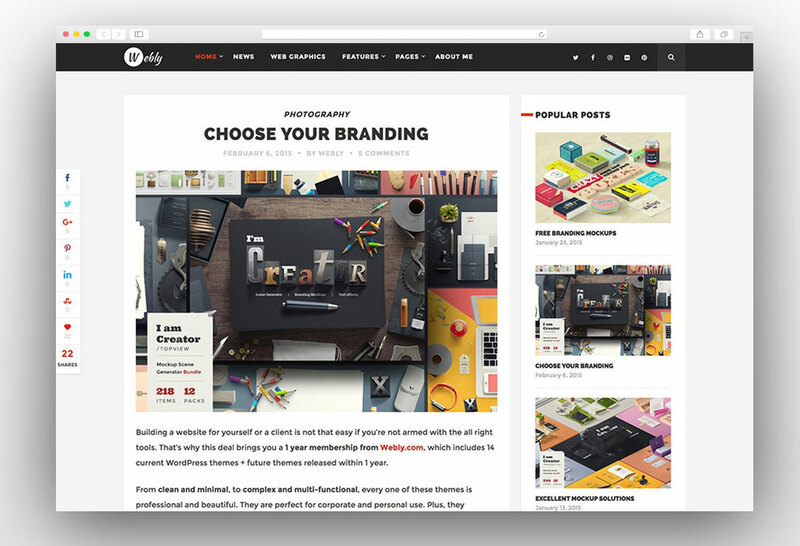 The theme has Google web fonts and you can select the best font for the awesome typography of the website. 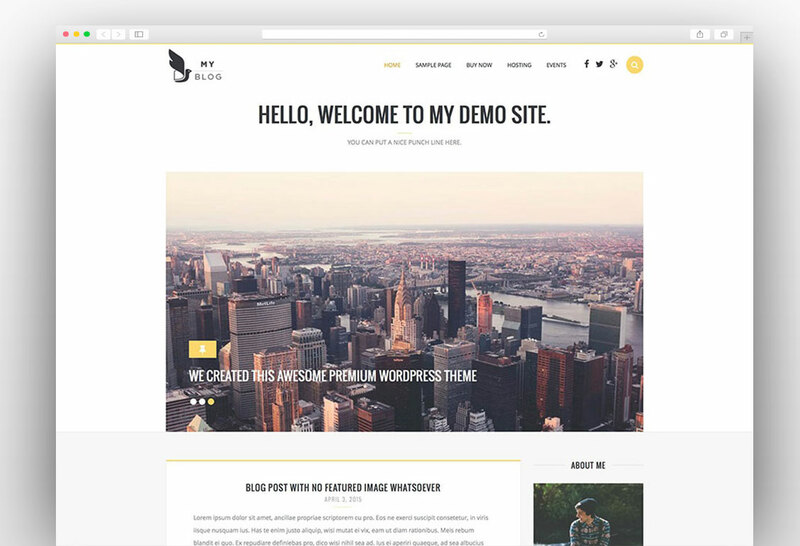 Webly Blog WordPress theme is very easy to customize and you can quickly establish a website effortlessly. 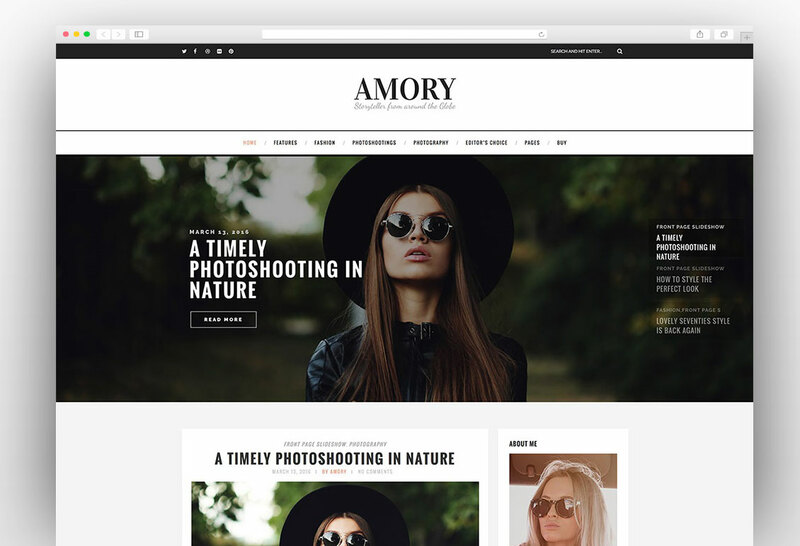 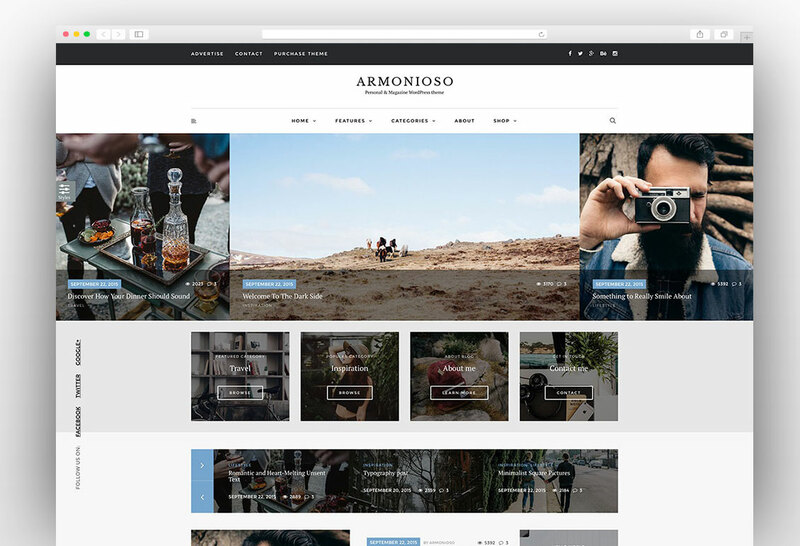 Amory Blog WordPress theme is a modern WordPress Blog Theme focused on design that highlights your content and it is Ideal for Fashion blogs, Creative & Photography websites. 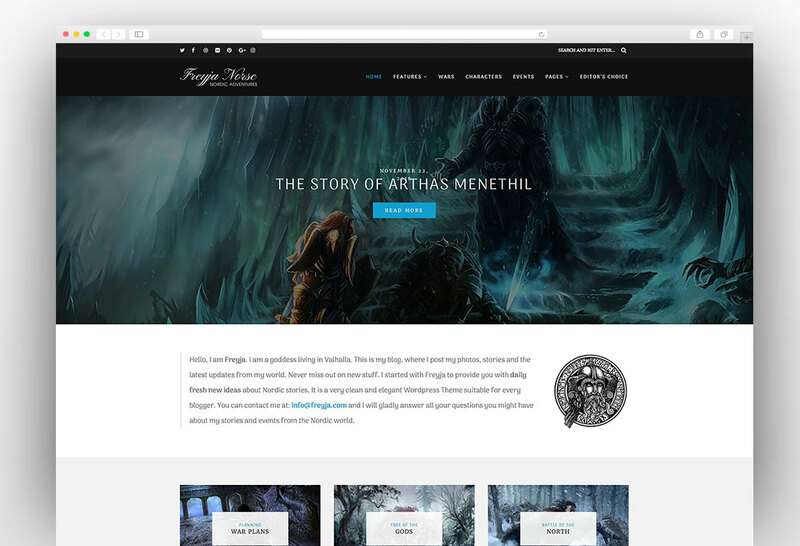 The theme has a powerful options panel which is powered by options tree. 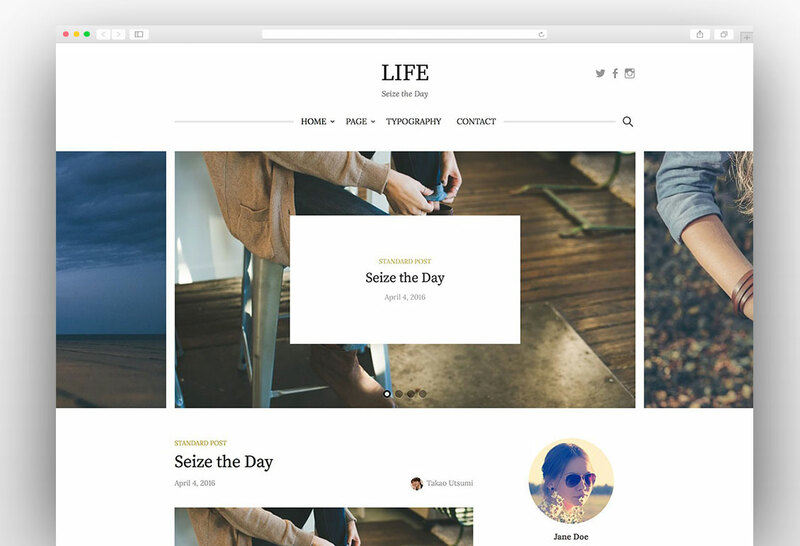 Even the header and footer background images can be managed from the options panel in the dashboard. 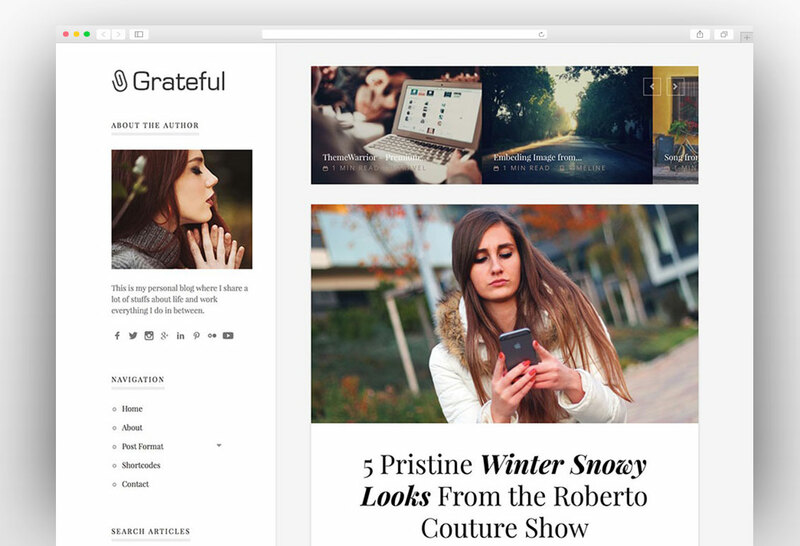 There is a scrollable menu with social share icons which will make your content go viral on the social networks. 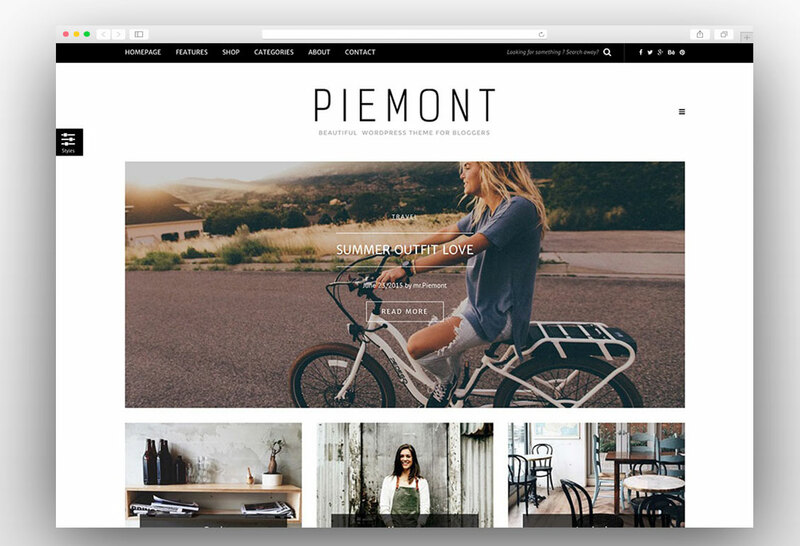 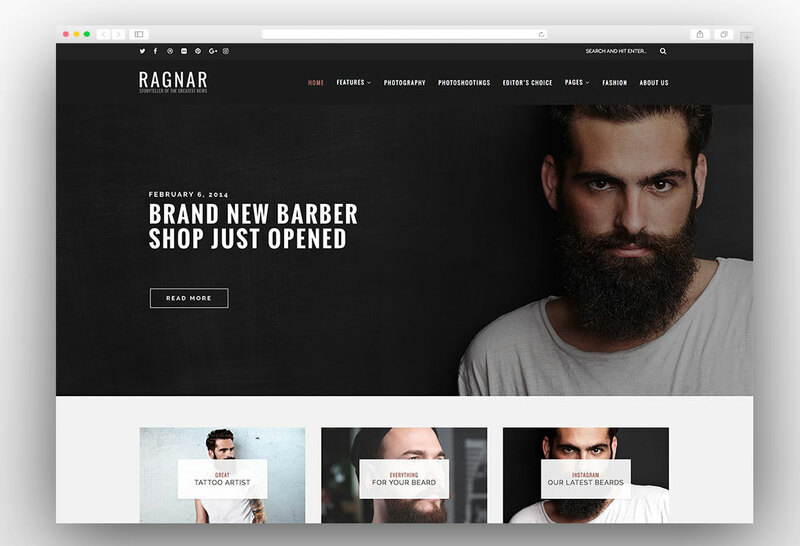 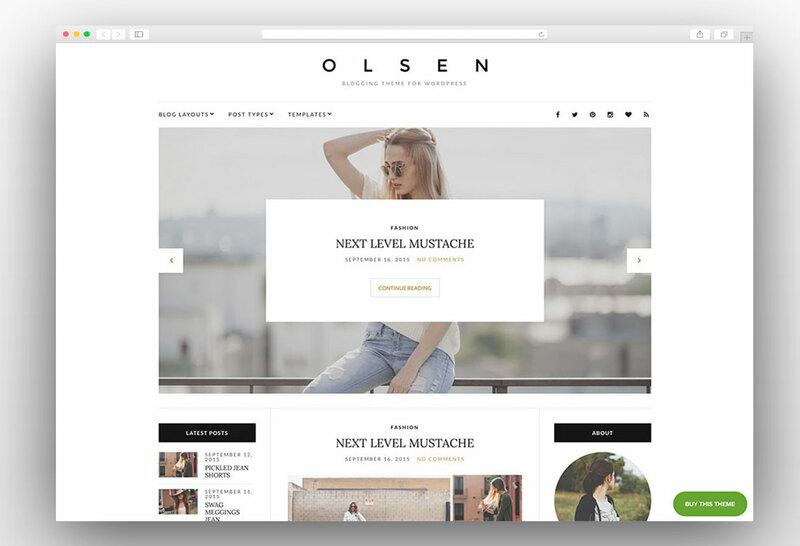 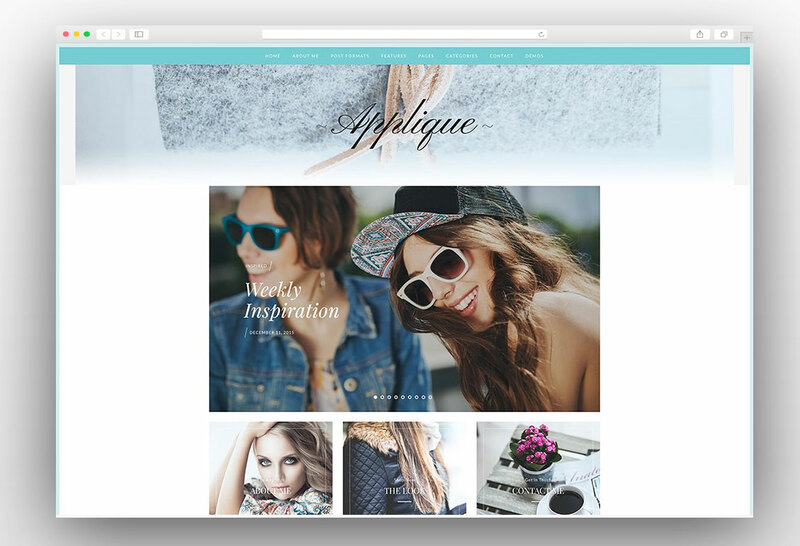 The theme is integrated with WooCommers and you can setup an online store in both full-width layout and boxed layout. 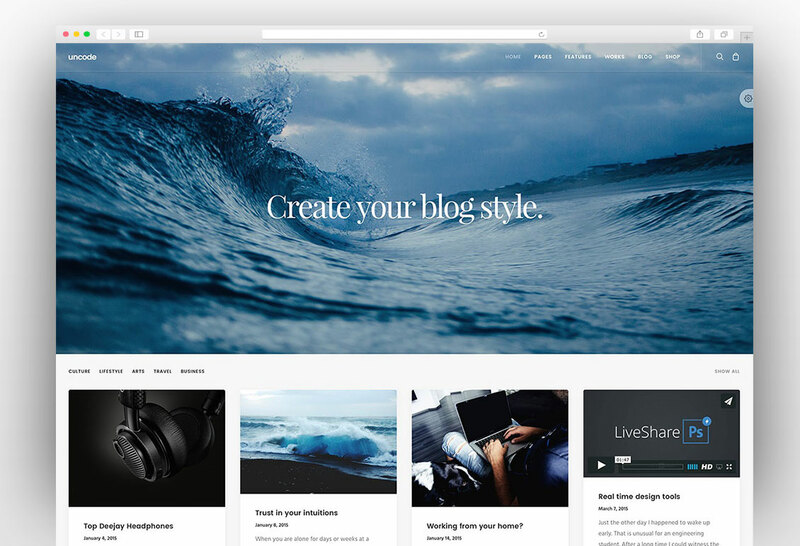 This an amazing theme for blogging with amazing features. 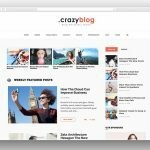 CrazyBlog is the powerful WordPress blog theme and it is fully optimized for Adsense and Affiliate blogs. 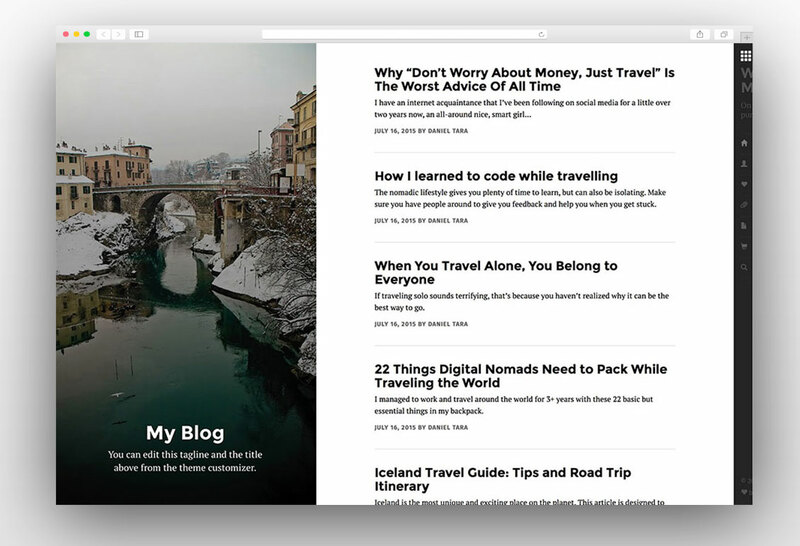 You can quickly turn your blog into a profitable business via Adsense or affiliate marketing. 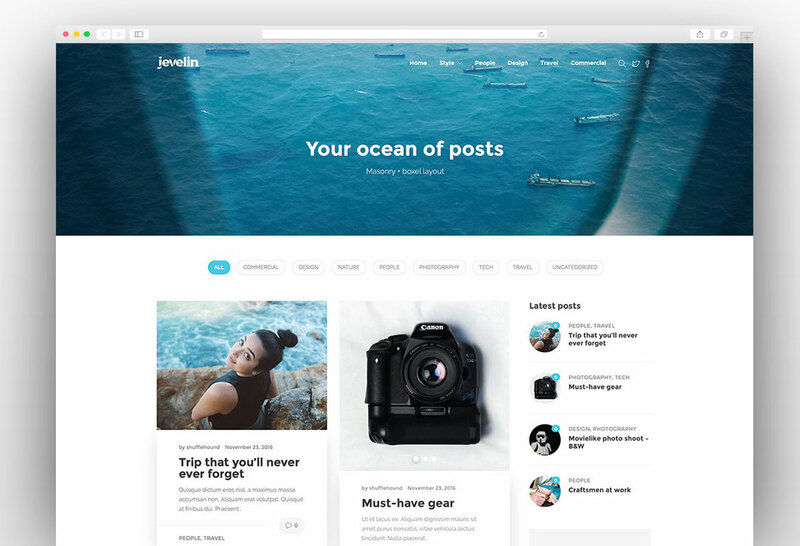 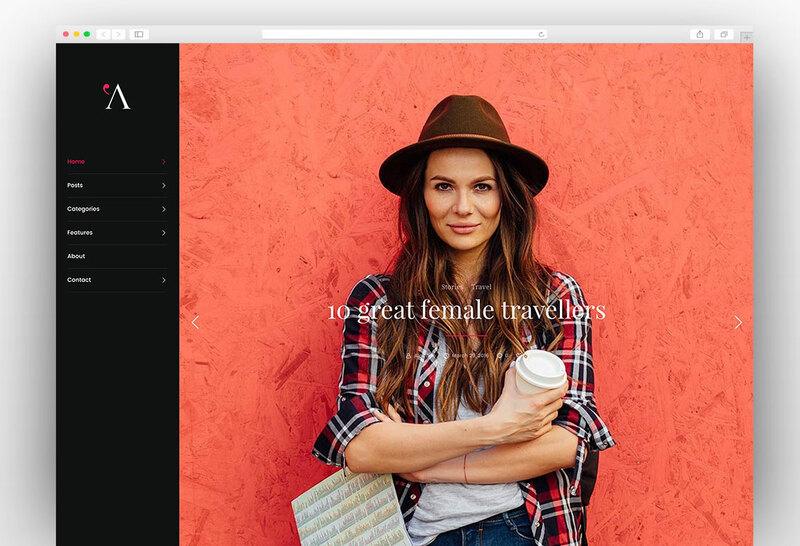 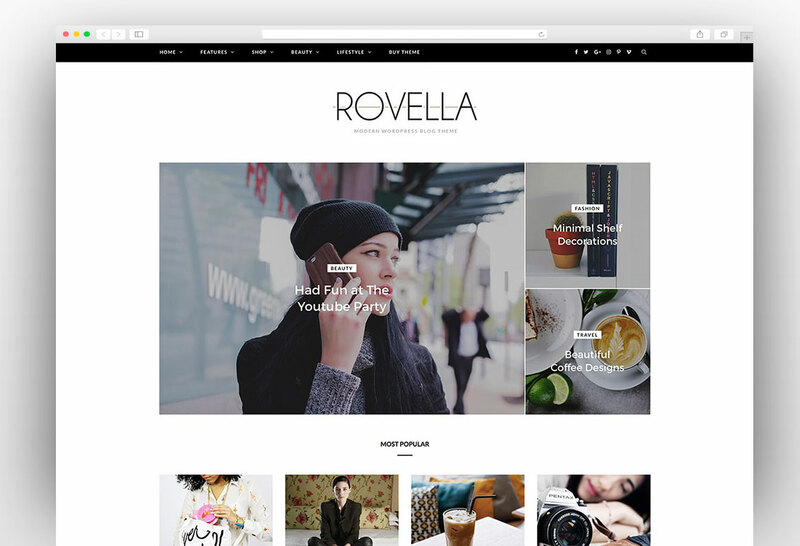 This is the perfect theme for travel bloggers, fashion designers, affiliate marketers and business bloggers. 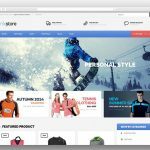 All ad management is controlled from the backend admin panel and also the affiliate links can be managed from the admin panel of the theme. 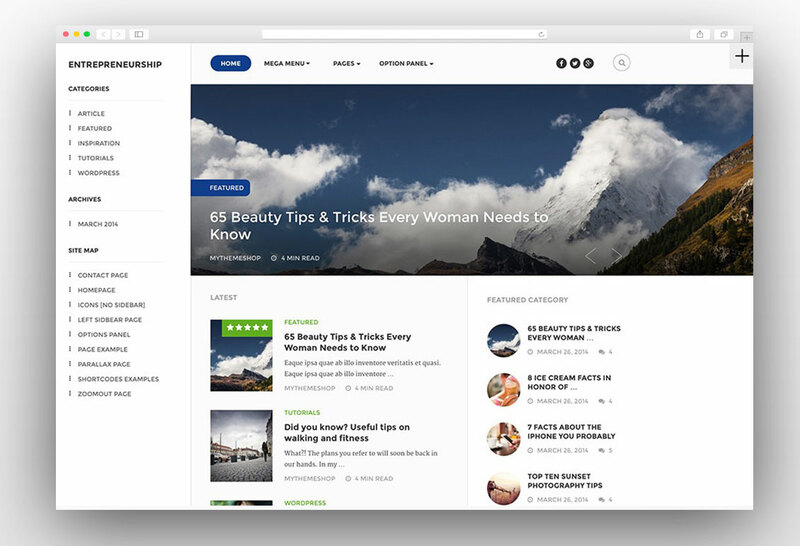 There are multiple built-in demos available for different categories of blogging like fashion blog, creative blog, cars blog, recipes blog and travel blog. 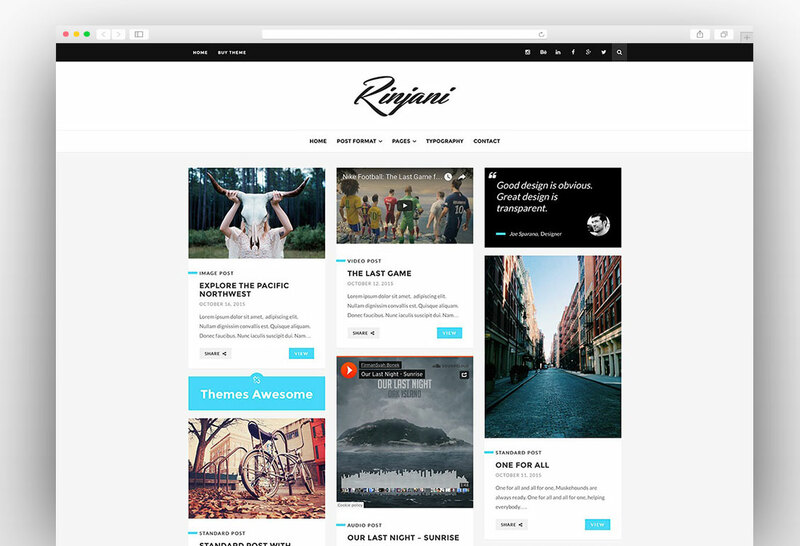 The theme fully supports the RTL languages and Arabic blog demo is also available in the theme. 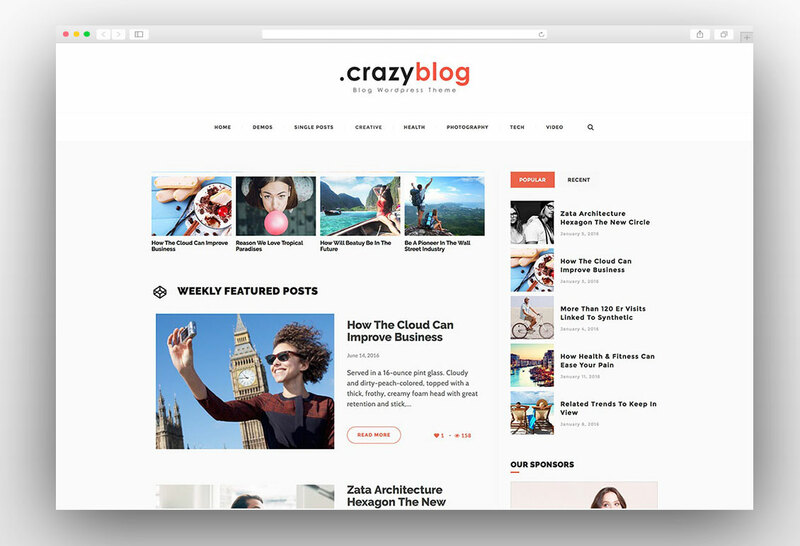 CrazyBlog is also a perfect theme for the magazine website and multiple layouts for the magazine are built-in this theme. 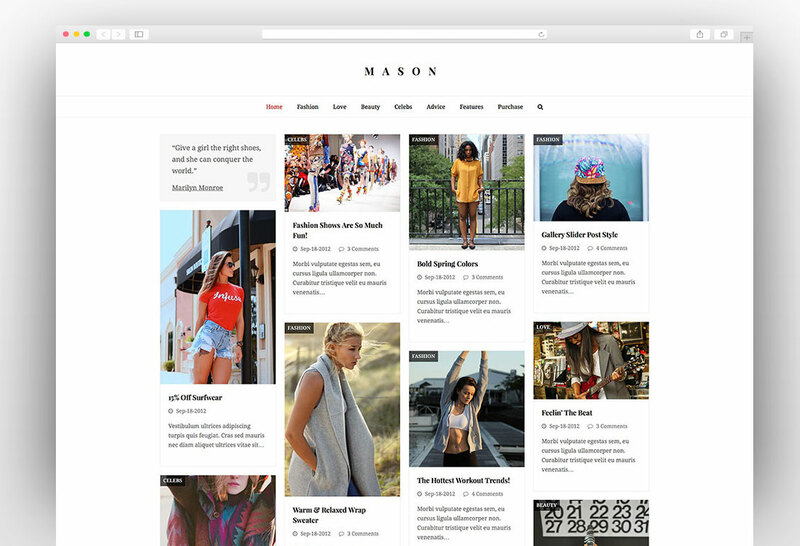 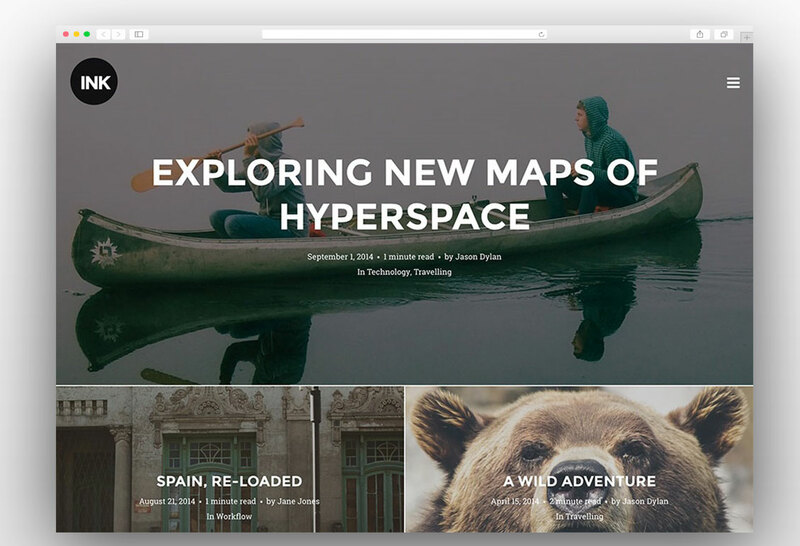 There are also multiple blog post layouts like list view, masonry, and magazine view. 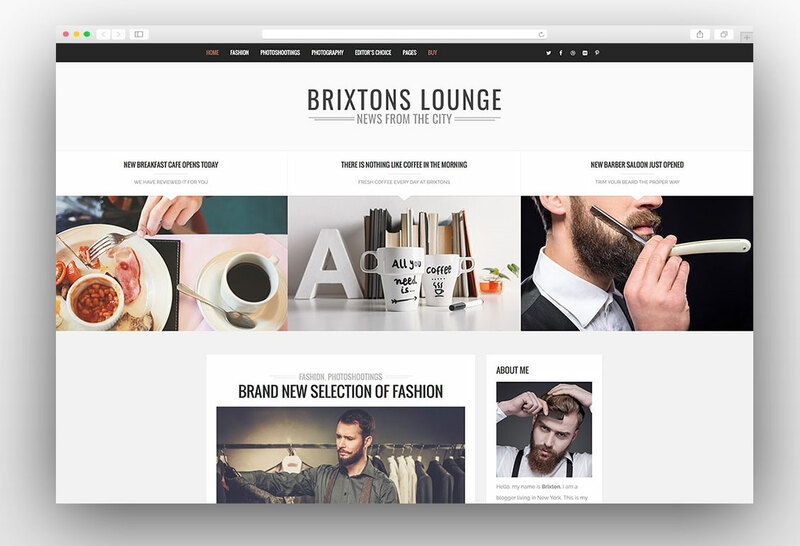 The side bars are available for both left and right sides. 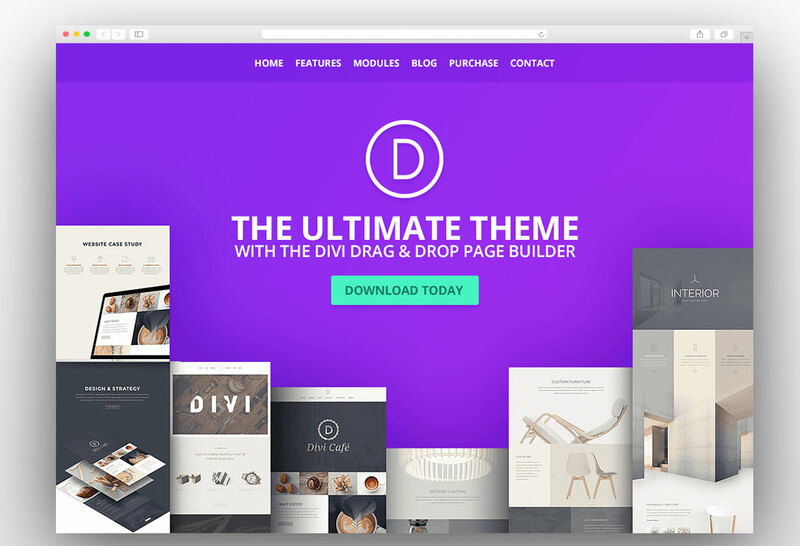 Getting started with the theme is very easy and you can install the demo data by just one click. 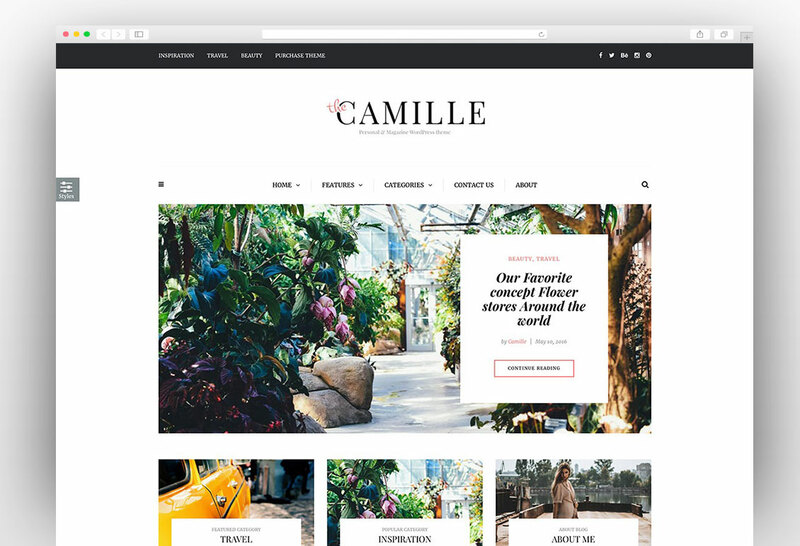 The multiple header styles provide a wide range of design options for creating a blog and you can make your desired layout easily. 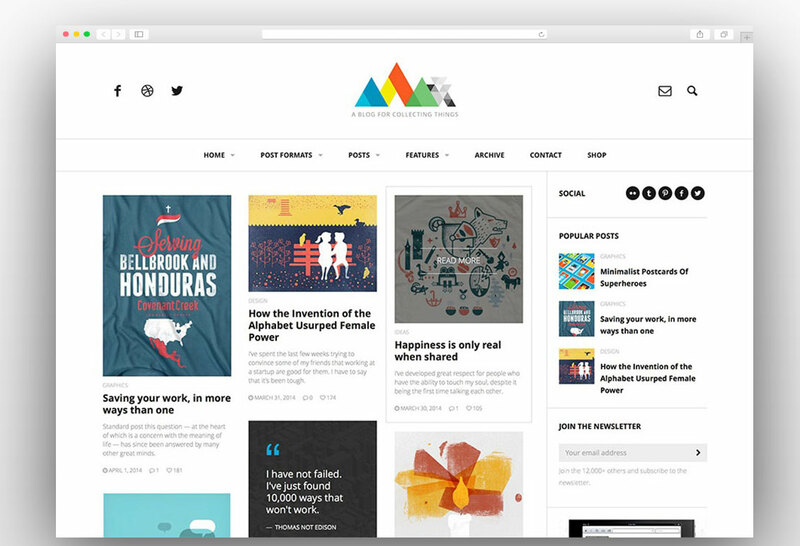 The mega menu on your blog will add more flavor and make it more reader friendly. 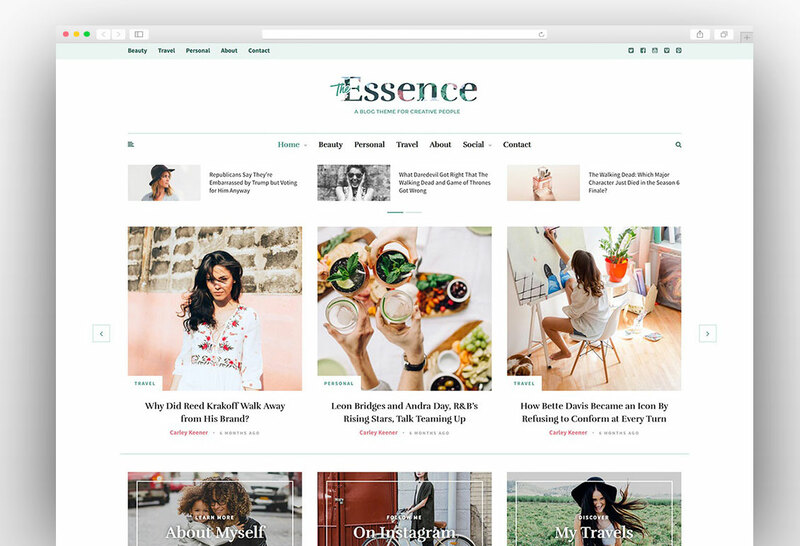 If your blog get a lot of fresh content daily and looks like a magazine then the Reader is a perfect theme for your blog. 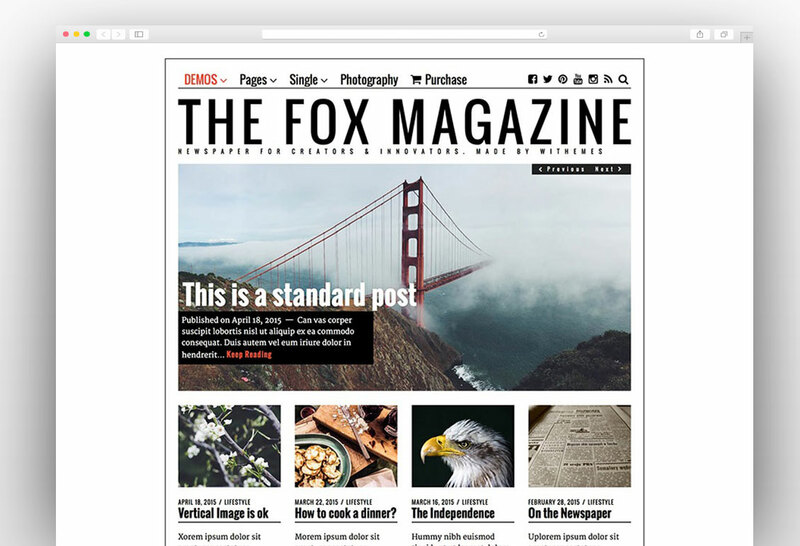 It has a professional and clean layout which makes reading very easy for the readers. 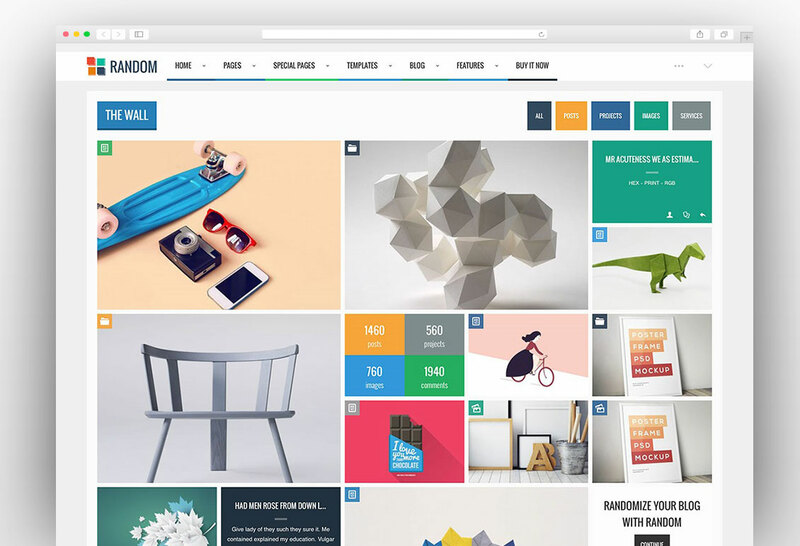 It has a distinctive multi-colored sidebar and comes with multiple homepage layouts. 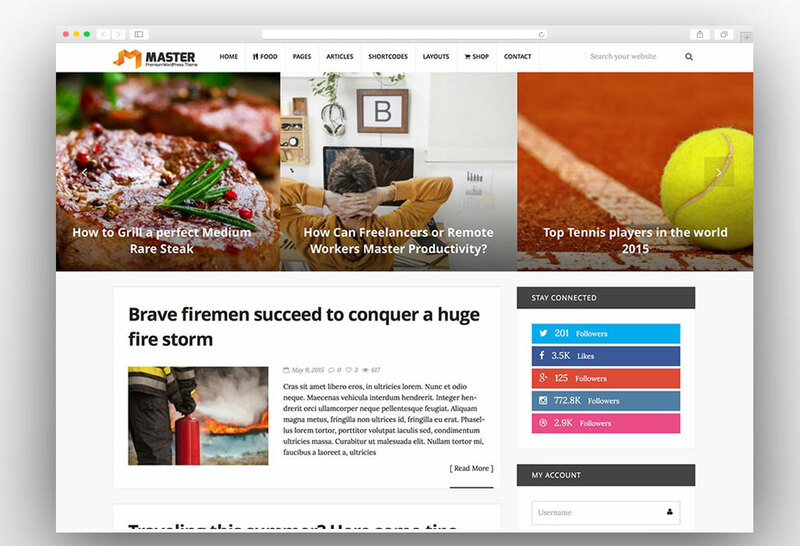 There is a built-in social sharing options so that your readers can share your best content and you get more exposure. 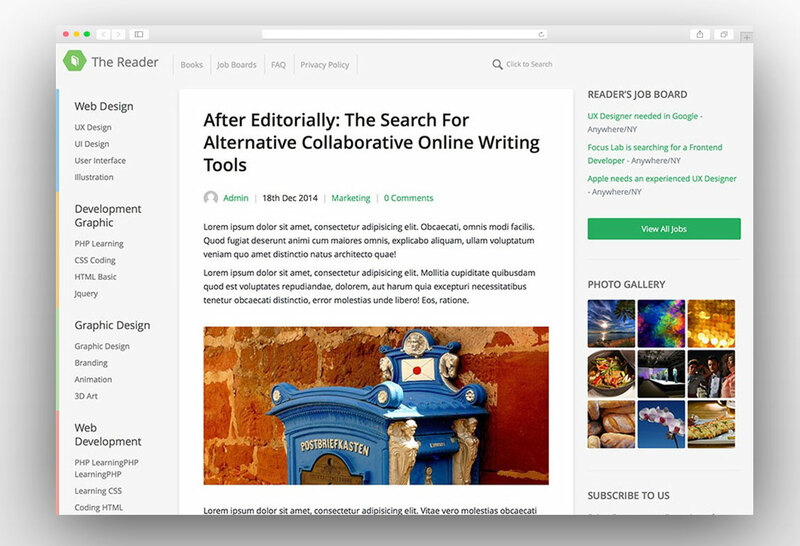 The Reader blog theme has a built in job posting option so you don’t have to rely on third party plugins. 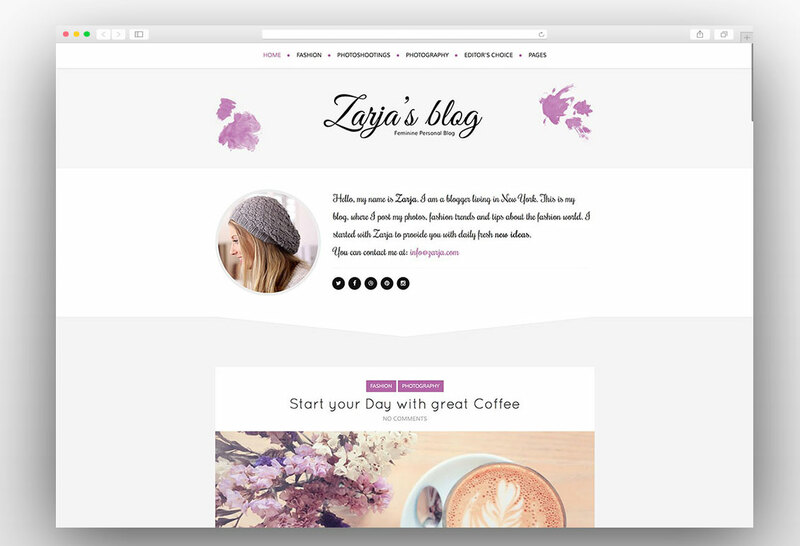 For simple and small blogs this is one of the best options to choose from.